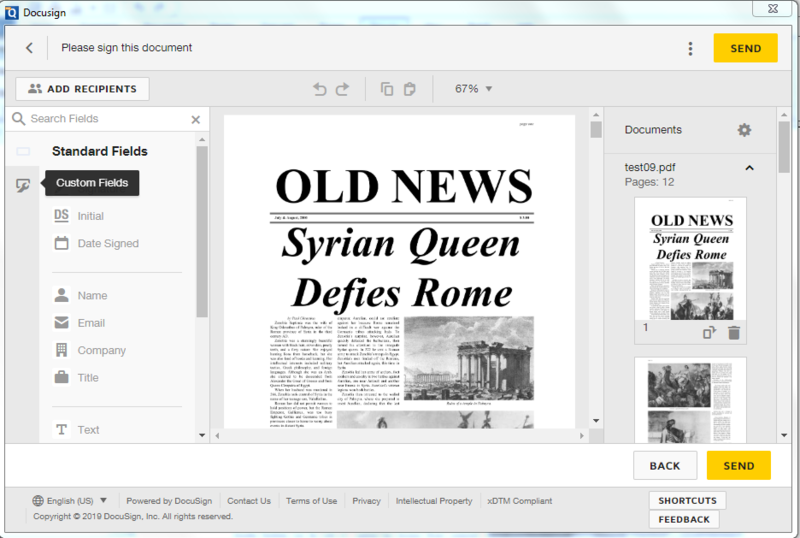 PDF Studio 2019 will come with Docusign Integration. 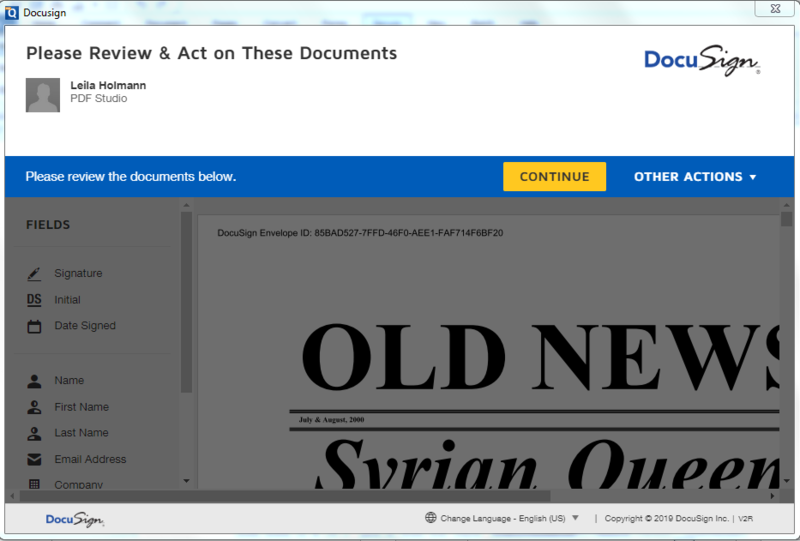 The DocuSign integration allows you to take any document created / edited and add online signatures directly from within PDF Studio. Using the integration in just a single click you can sign into your DocuSign account and sign or email documents directly from your DocuSign account saving time and extra steps normally needed. 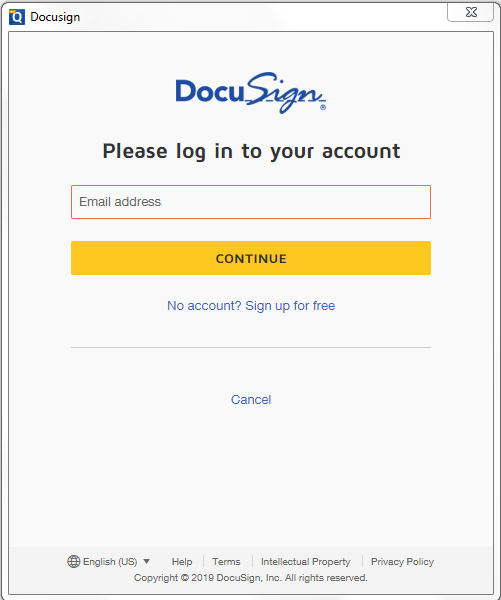 Note: An account with the docusign is required. 3. After logging in, you can review and sign the document. 3. After logging in, you can start adding recipients and send the document.